Are you looking to get new carpet installed in Eastpointe, MI? If you are, then we have some good news for you. With The Carpet Guys by your side, you will receive the best customer service and have a very enjoyable experience getting your new flooring installed. Our Eastpointe carpet installers are the best in the business, providing only the most satisfactory services and craftsmanship. We know what it takes to install carpeting correctly, and we do it right the first time. If you are in need of flooring services, we are the ones to call. We can tell you all about who supports us, but it just is not like experiencing the services we can provide for you first hand. 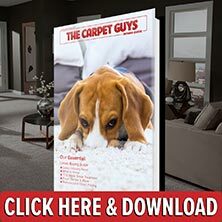 If you are ready to get new carpet installed in your home, contact us today by scheduling a free in-home estimate and enjoy The Carpet Guys experience yourself. Eastpointe carpet has never been better.